Spacious, Adaptable & Tough as nails! 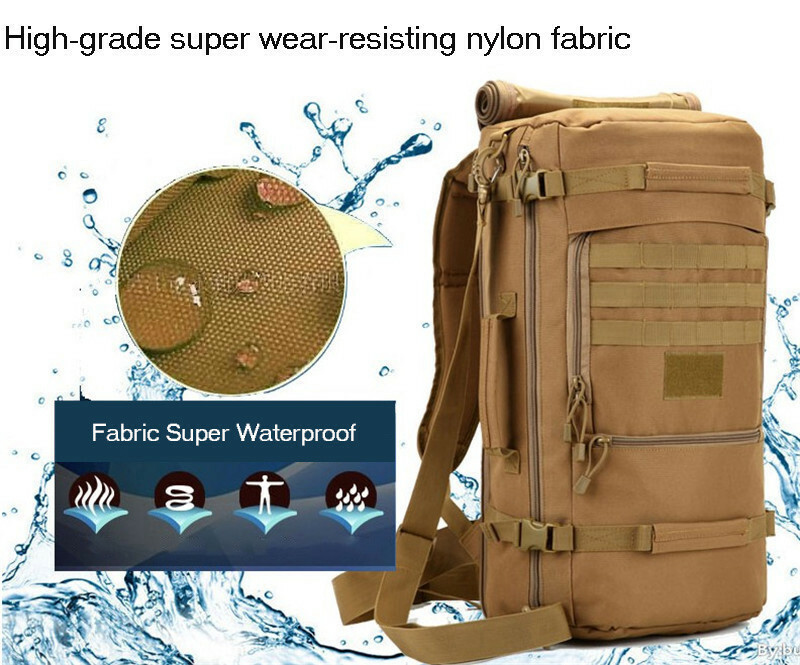 this tactical backpack comes with a 50L / 60L capacity, advanced waterproofing and numerous pockets, you will easily fit all your gear & worldly possessions in this bad boy! Perfect for your journey – Spacious. Adaptable. Tough as nails. Make it yours - Available in 50L and 60L, choose between 6 colors. Defeat the elements - Made from durable, quality materials. Perfect for your journey – Spacious. Adaptable. Tough as nails. Every adventurer needs a trusty companion. This is one you’ll grow to love for years to come. Make it yours - Pick between 50L and 60L, and 6, beautiful vintage colorways to truly make your backpack yours. Want refined black? 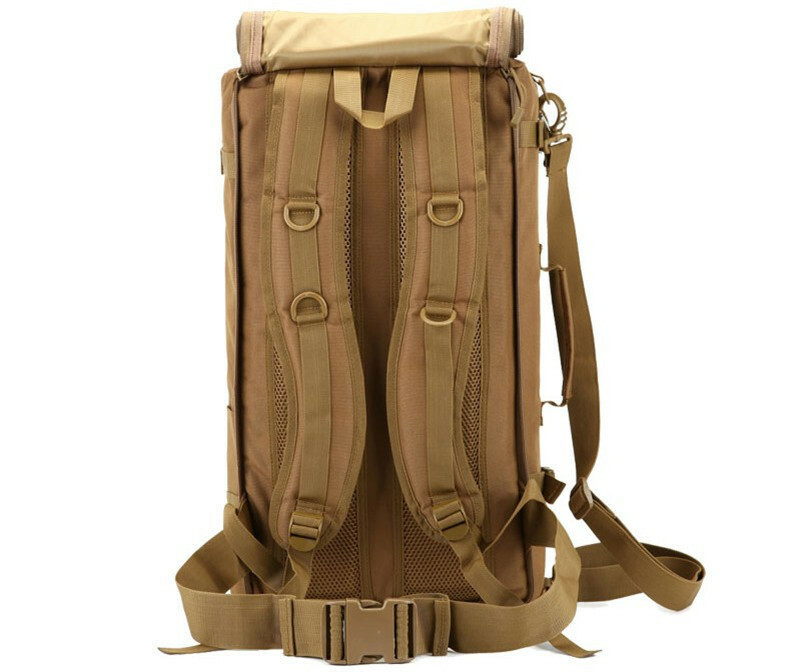 Naturalistic khaki? Militaristic camouflage? You choose! Hit the road in style – You might not be a seasoned, veteran traveler, but at least you’ll look like one with this backpack’s minimal, vintage style and stunning color choices. Adapt it to your preferences – Wear it like a backpack, use the shoulder-sling, or carry it by the handle. You’ll be comfortable for hours - no matter what’s inside! 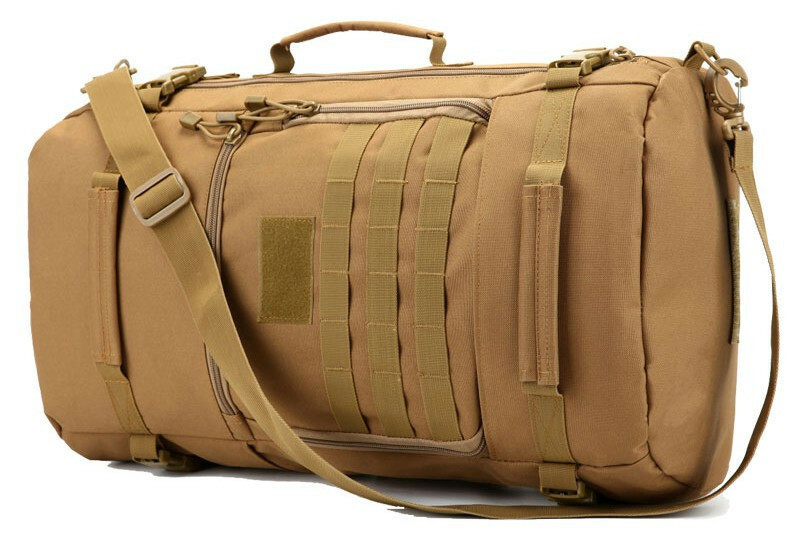 Fill it up with anything - With a roomy 50-60L capacity, the Tactix™ Waterproof Field Backpack has space for everything you need - no matter where your road takes you.